The district of Twickenham Park, located in Spanish Town, St. Catherine was home to the Jamaica School of Agriculture (JSA) from 1942 to 1981. After decades of operation, a number of reports commissioned by the Ministry of Education (from as early as 1978), recommended the closure of the institution against the background of a myriad of social, environmental and disciplinary problems that were faced by the school. Finally the school was defunct in 1981. Simultaneously, there was a thrust by the government of Jamaica to urbanize the Twickenham Park Area. 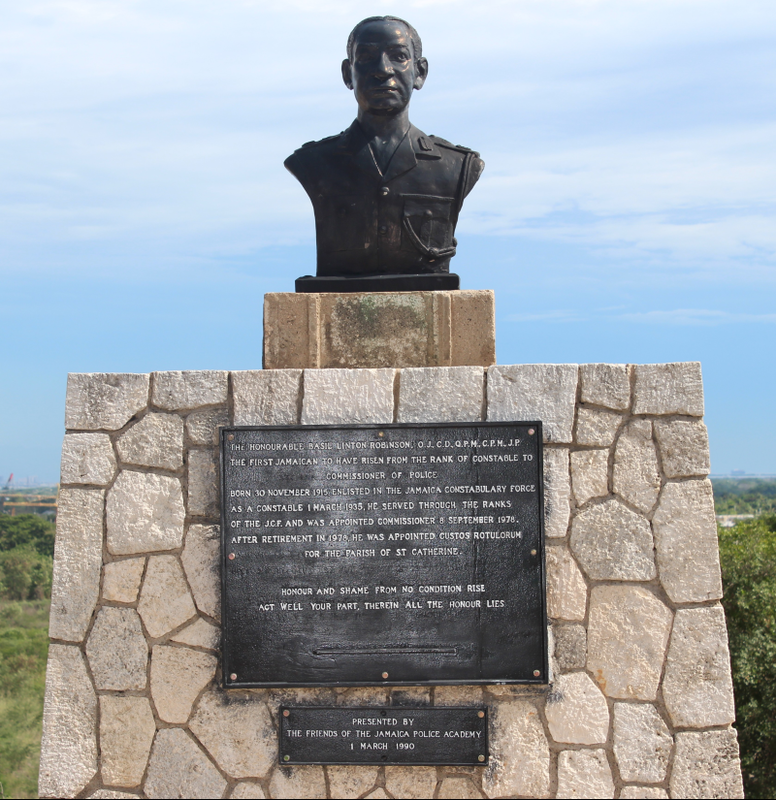 This urban development eroded most of the lands as a result there wasn’t enough land left to do proper farming; some of the land was given to José Martí School, some to the Jamaica Constabulary Force and some to factory expansion. The Jamaica Constabulary Force started utilizing their portion of land, about 50 acres, (now referred to as the Wing), to train officers who were attached to the Mobile Reserve Division in Artillery and field craft in 1976. Under the guidance of then Commissioner, Bill Bowes, The Police Training School, which was located in Port Royal, was relocated to Twickenham Park in 1982. The Jamaica Constabulary Force managed to negotiate for a greater land space for the training school as the Wing could not accommodate all the training facilities. Their successful negotiations resulted in the expansion of the training school compound, which now accounts for approximately 360 acres of the Twickenham Park land. According to National Security Minister Winston Spaulding in 1982 “greater physical facilities existing at Twickenham Park would allow for basic, in-service and higher training for the police under one roof.” After its relocation, in 1982, the institution was renamed the Jamaica Police Academy (JPA). The first commandant was Mr. Larry Trout. The lecture theatre for the Jamaica Police Academy was unveiled in July of 1987 by the Prime Minister of Great Britain and Northern Ireland, the Right Honorable Margaret Thatcher. Guided by the Strategic Review of the Jamaica Constabulary Force, the National Police College of Jamaica was established in June 2014. This consolidated the various training entities of the Jamaica Constabulary at the campus into a single, coordinated body. The entities which operated independently included the Jamaica Police Academy, the Jamaica Constabulary Staff College (JCSC), the Caribbean Search Centre, the Firearm and Tactical Training Unit, and the Police Driving School. The various sections were rebranded and restructured into three faculties: Faculty of Leadership and Professional Development (FLPD), Faculty of Recruit and Probationer Training (FRPT) , Faculty of Operations Management and Skills Training (FOMST); and several departments. Since its inception, NPCJ has trained members of the Department of Correctional Service, Passport Immigration and Customs Agency, Jamaica Customs Agency, Fire Brigade Services, Private Security Guards as well as regional counterparts from Montserrat, Bermuda, Antigua and the Cayman Islands.